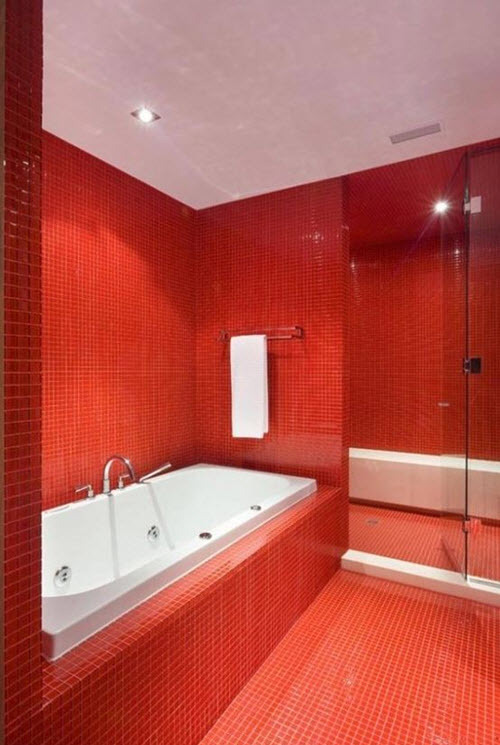 Red is the color of passion, energy and love. 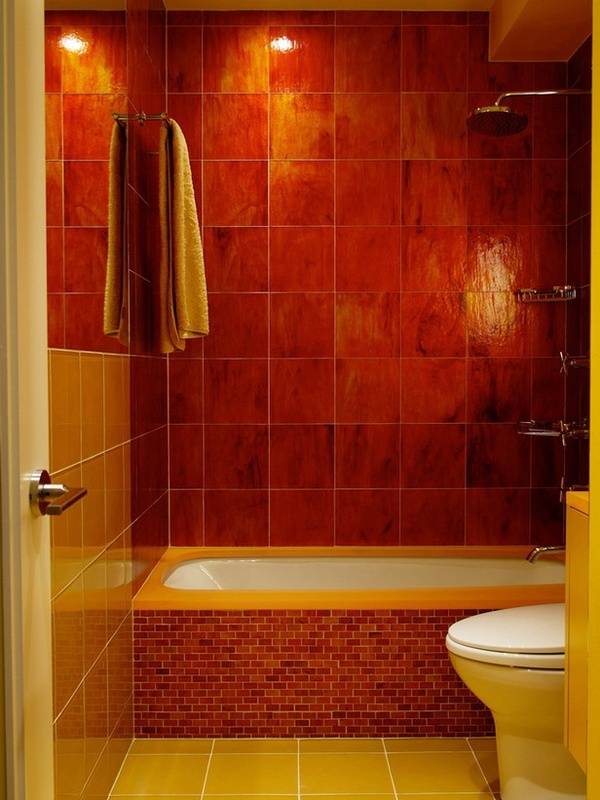 That’s why it is often used in bedrooms rather than in other home spaces. 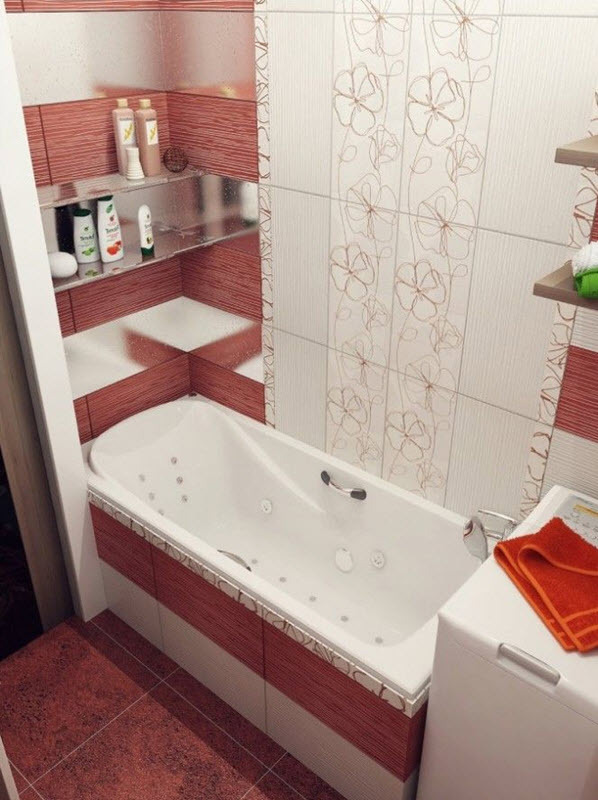 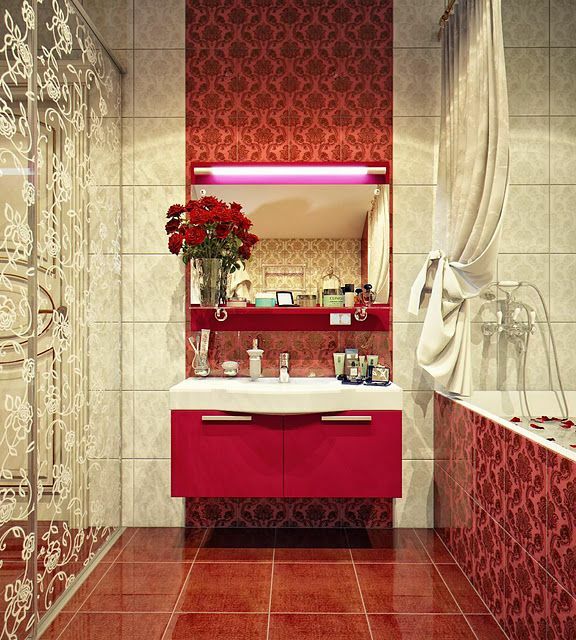 Some people think that it is not suitable for bathroom as it is too energetic to make a place for relaxing and recreation. 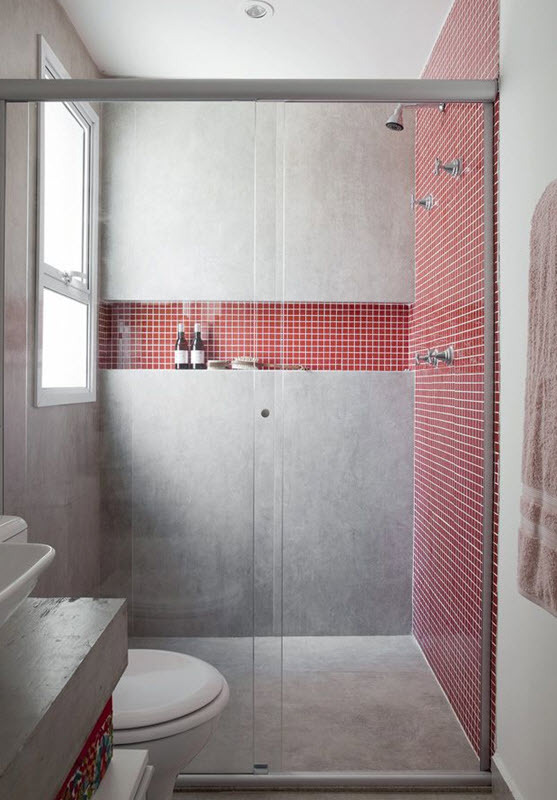 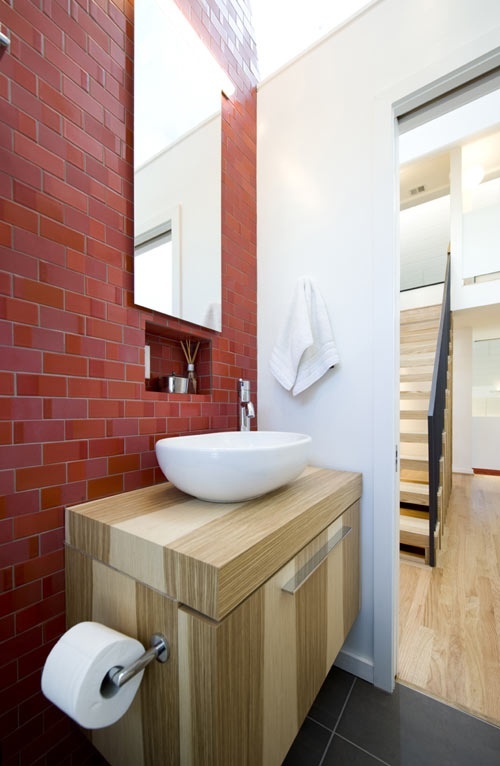 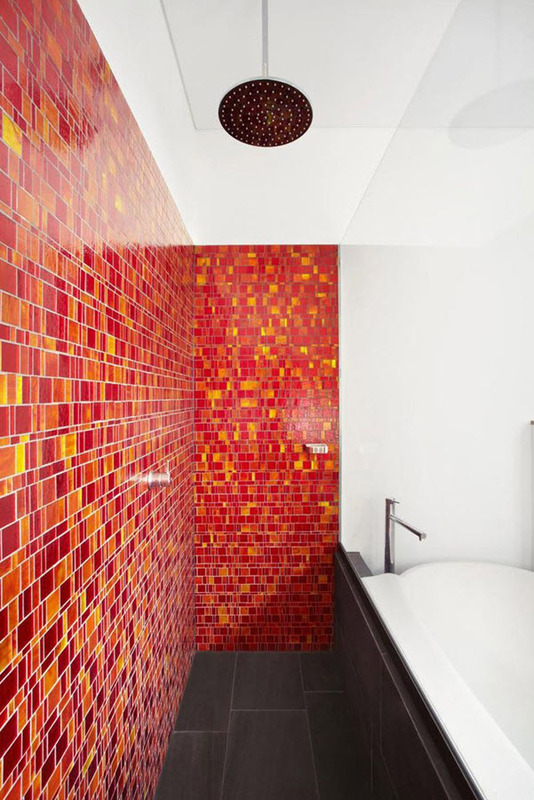 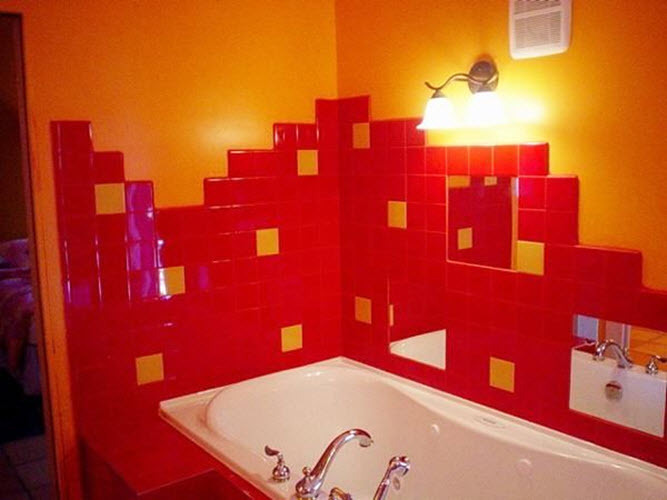 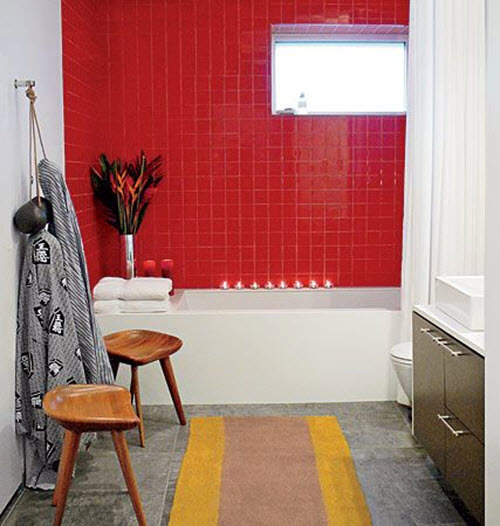 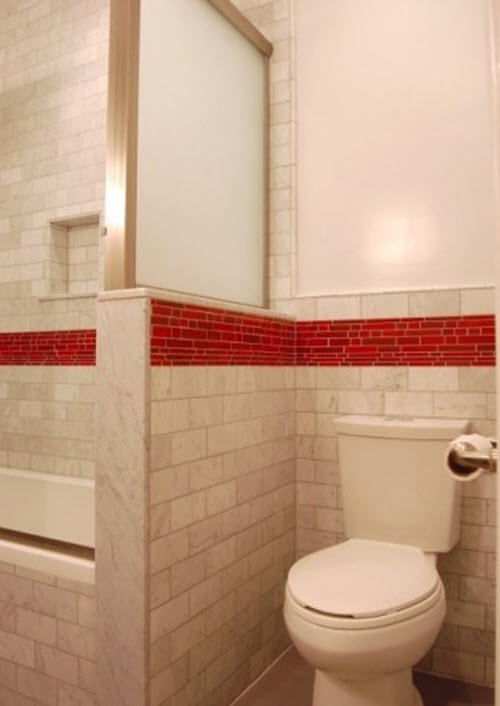 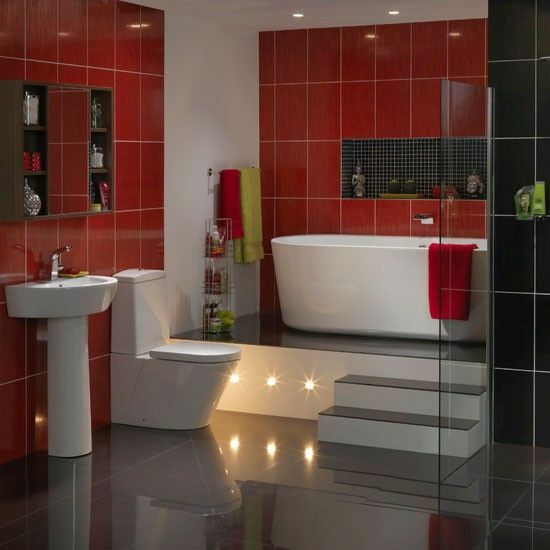 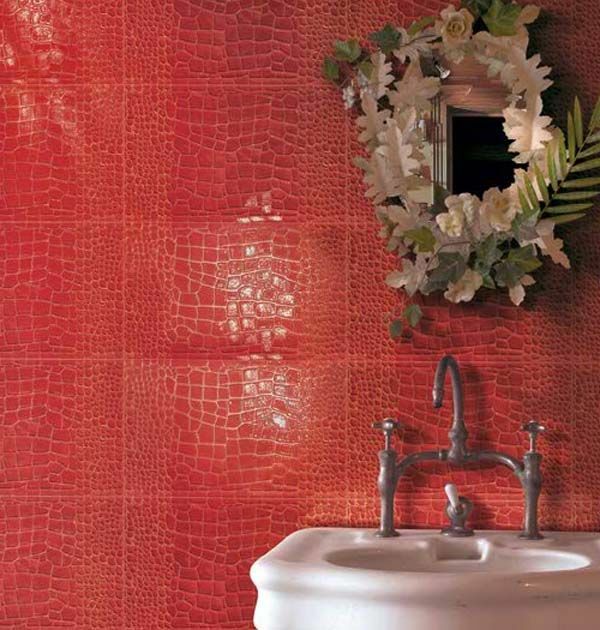 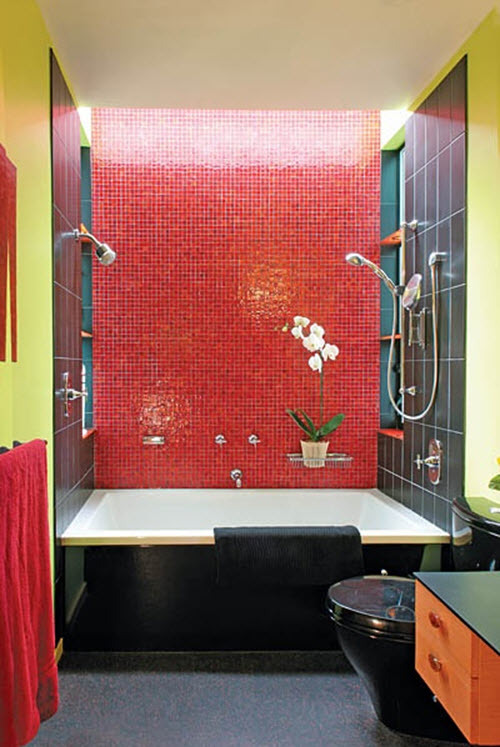 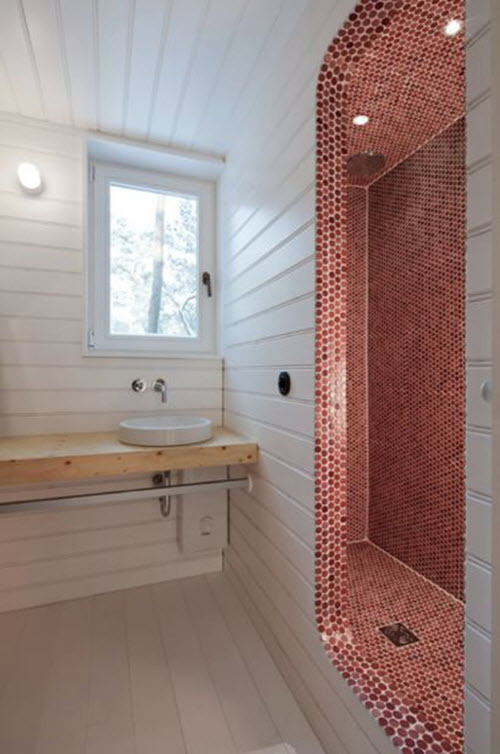 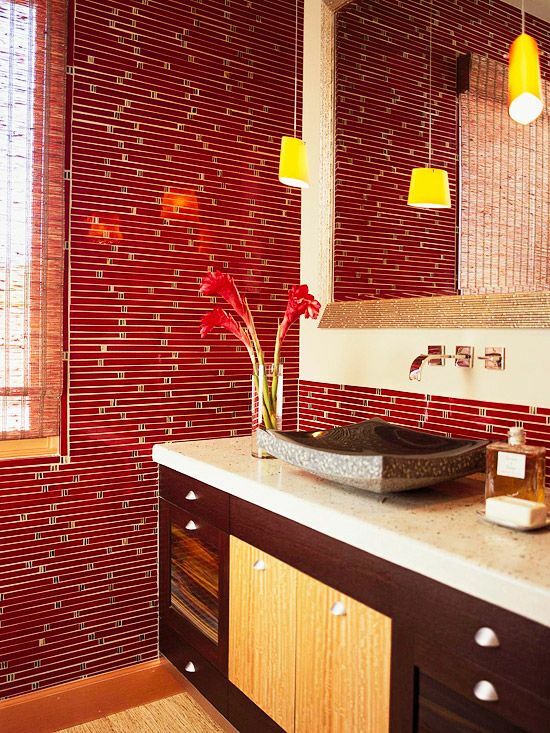 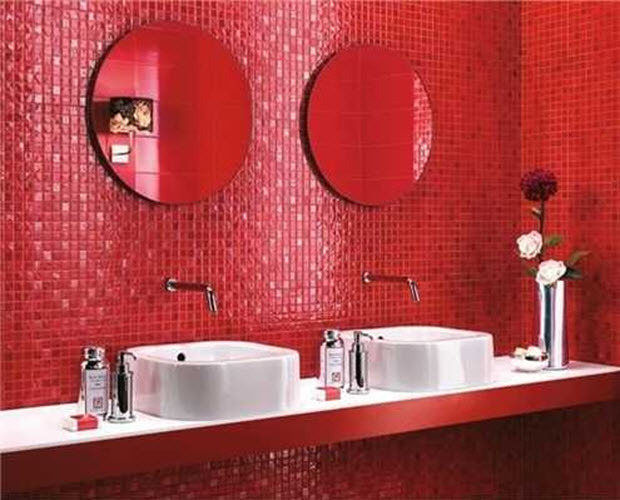 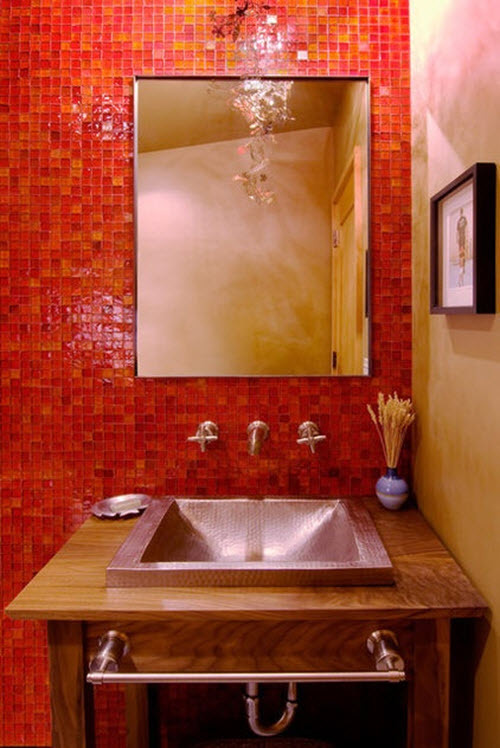 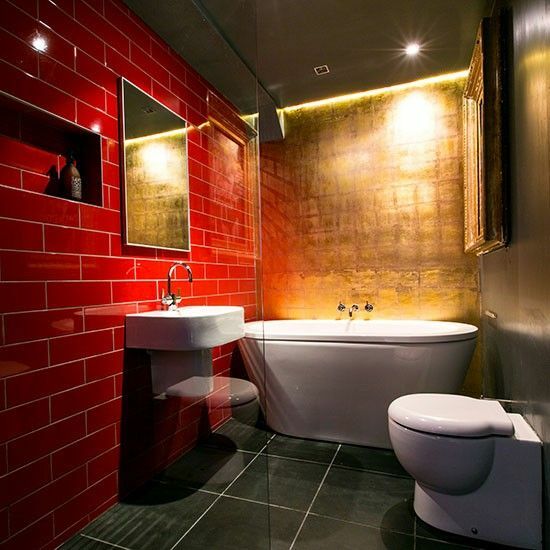 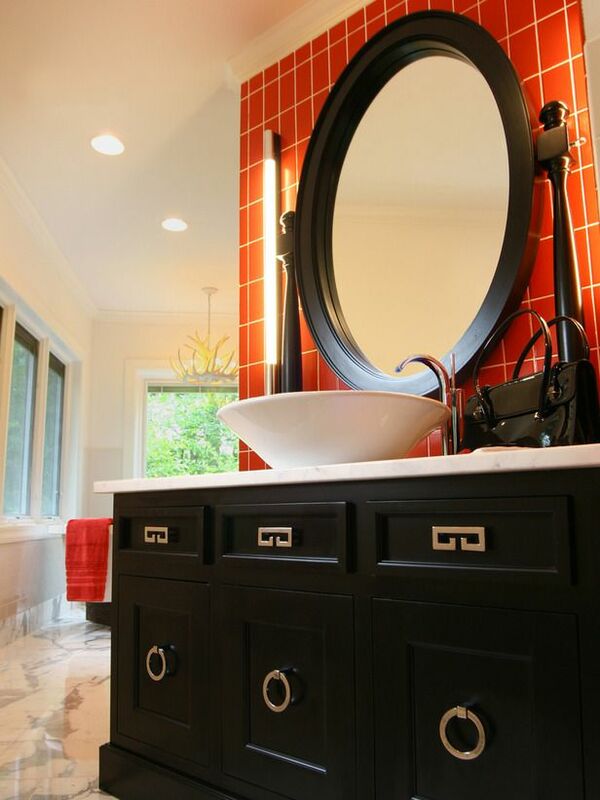 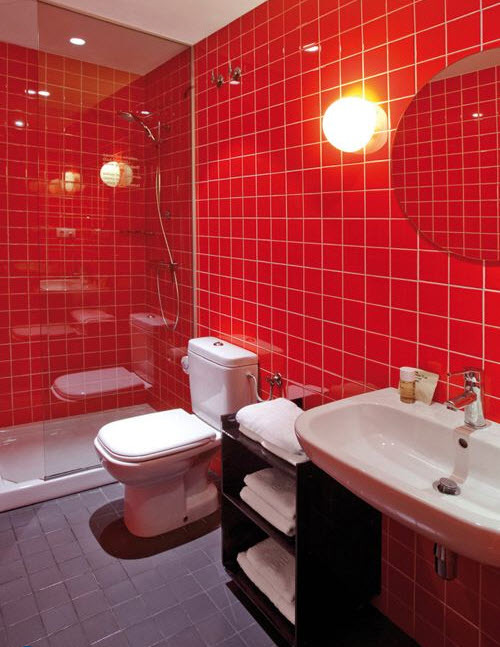 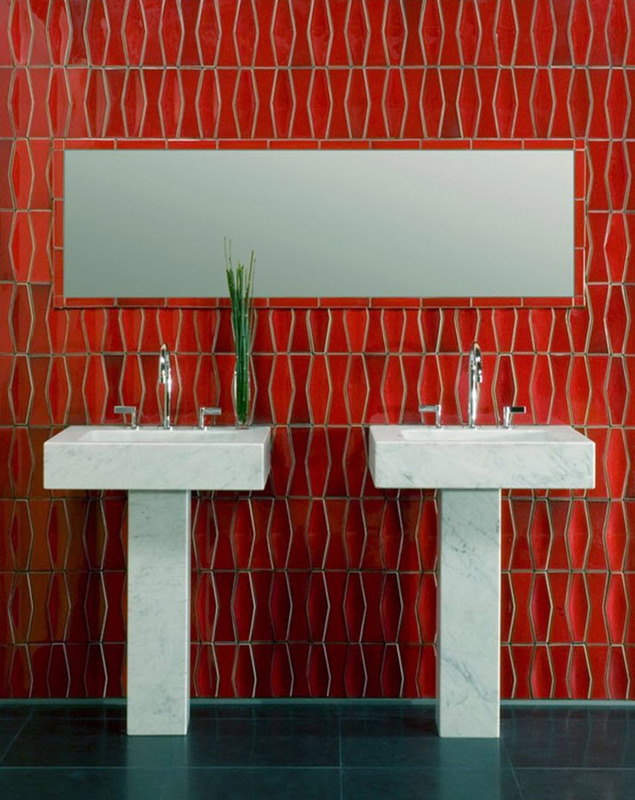 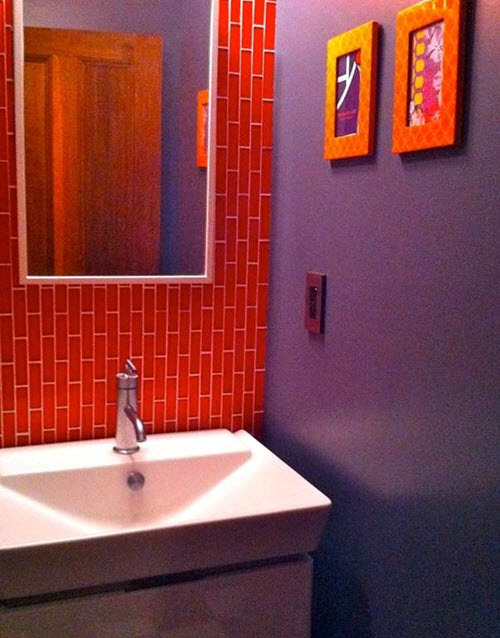 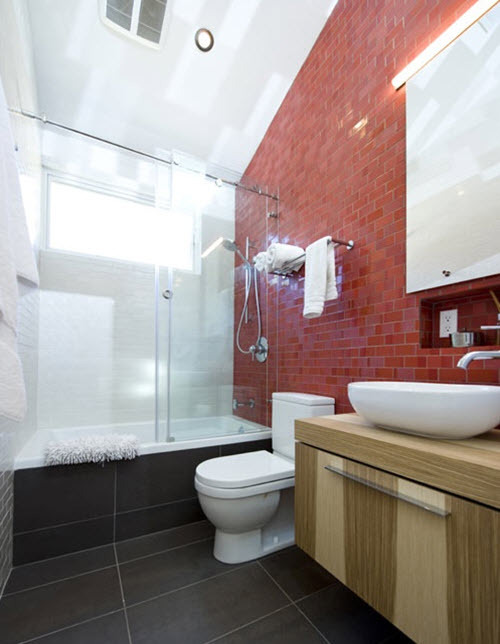 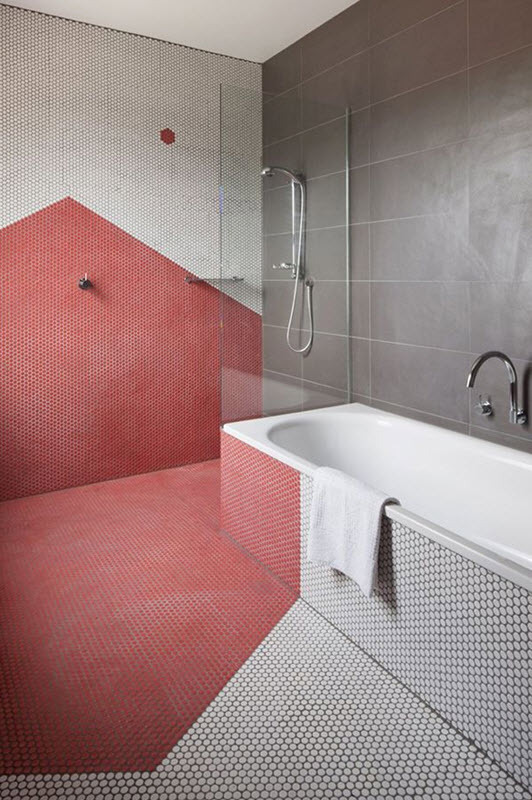 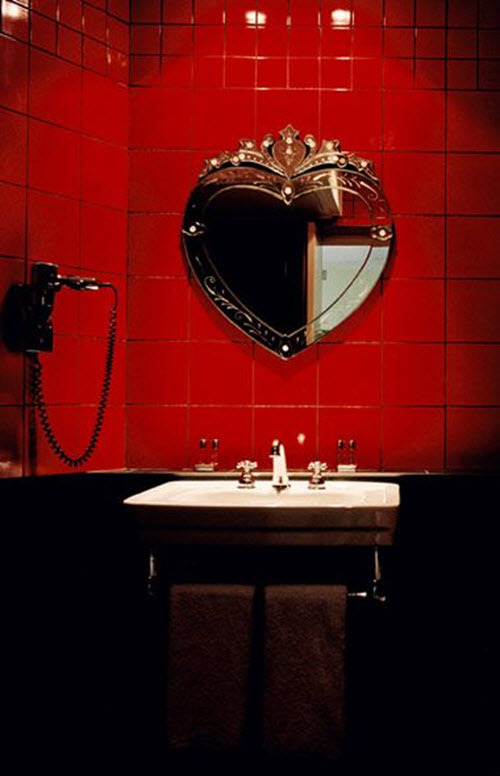 But don’t be so opinionated – red tile on the bathroom wall can add that much needed accent that your bathroom lacks. 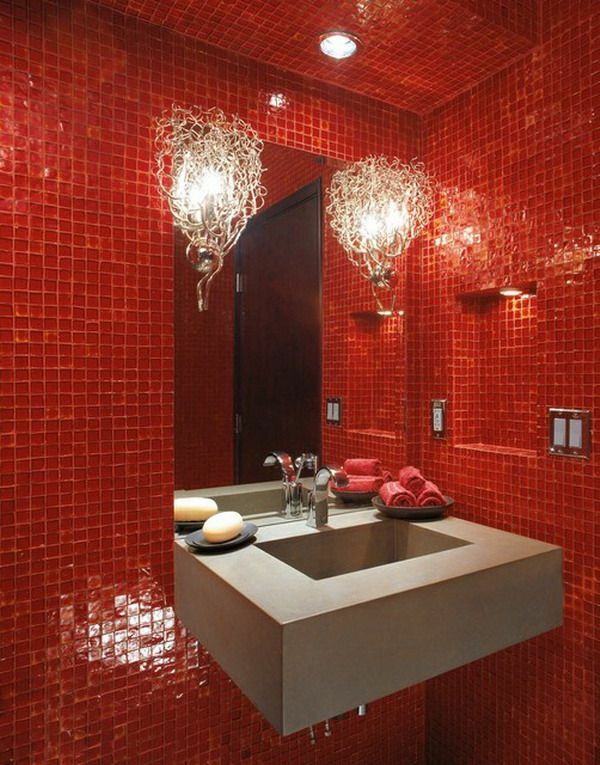 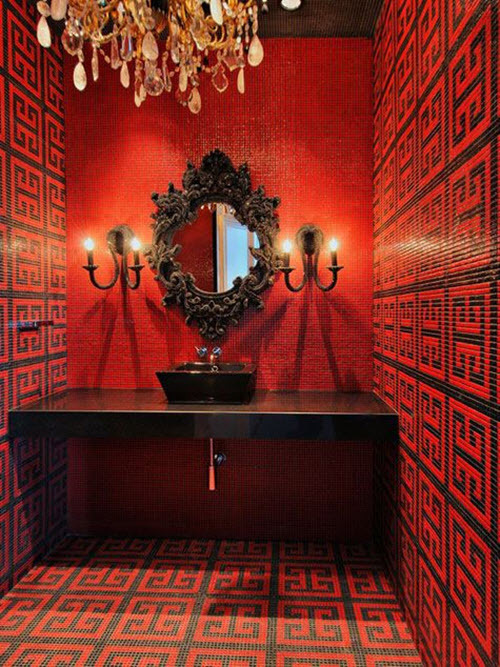 You can use red tile on all four walls or accentuate only one – either ways will be great if you make it interior wise. 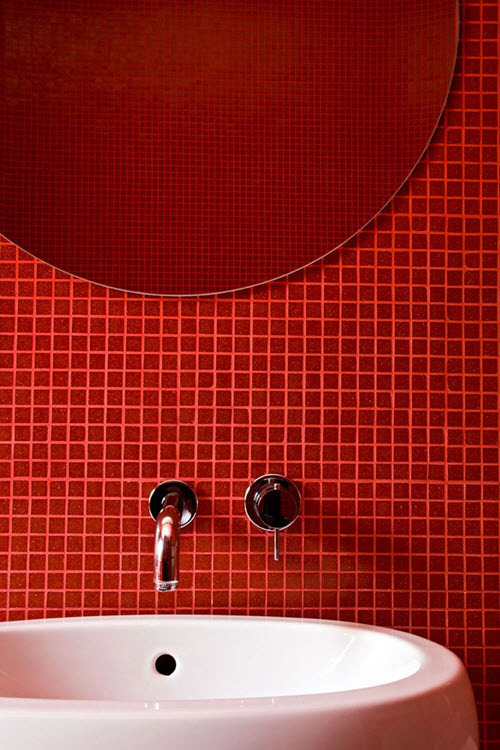 Red suits tiles of different shapes, sizes and patterns. 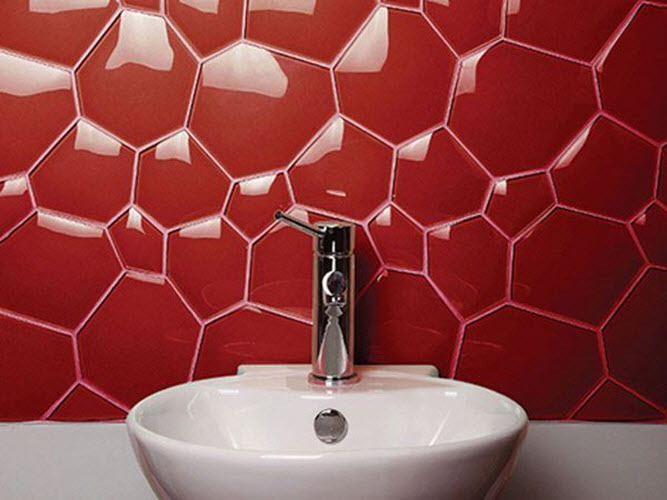 You can use subway tile, mosaics, square or hexagon tile in all shades of red and win. 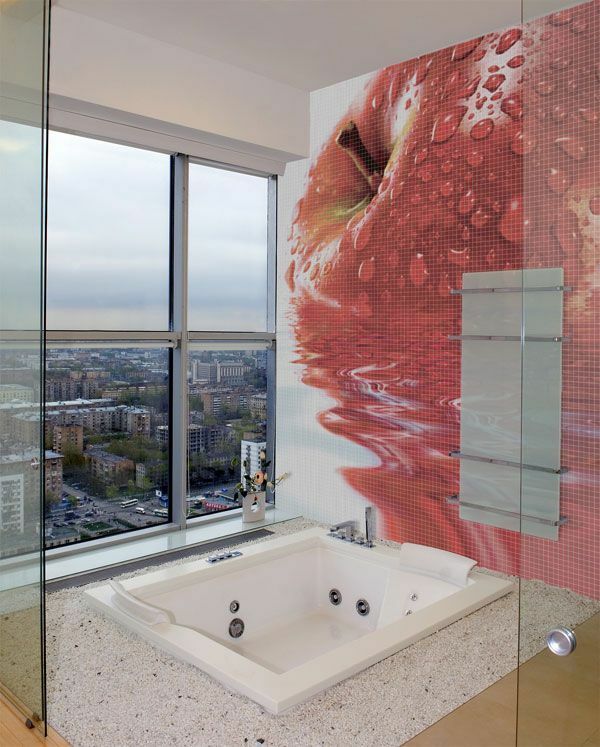 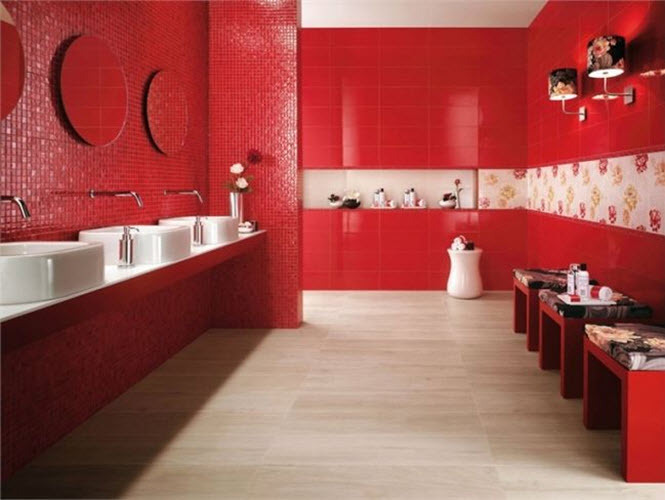 Look at the red bathroom wall tiles ideas on the photos below and see that red is not the color for bedrooms only.